Congratulations, your child has just graduated from kindergarten. Although kindergarten is now over, 1st grade is right around the corner. There are some major differences between these two grades, and it’s important that your child has the skills necessary to transition into the 1st grade. 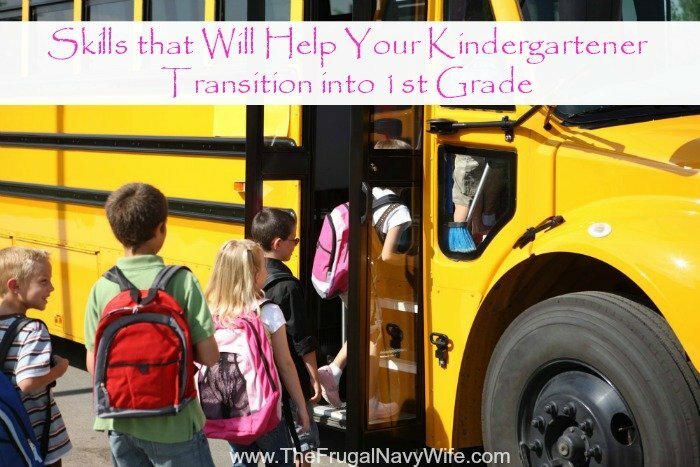 Take some time this summer to help prepare your child for the next phase in his or her school career. Although all schools are different, many kindergarten classrooms have the additional help of an aide. As your child transitions into 1st grade, however, you will notice that this additional person is missing. A sense of independence is needed in order to succeed in this classroom setting. As the summer progresses, start giving your child tasks that can be completed independently, such as going out to check the mailbox or preparing a simple dish for a meal. Communication is key in any classroom and it is a vital skill you will need to teach your soon-to-be 1st grader. Your child needs to be able to raise his or her hand in the classroom in order to answer questions. It’s also important that your child have the communication skills necessary to ask for help or to get an idea across. Encourage your child to communicate this summer by asking open-ended questions. Allow your child to ask questions at home. The older your child gets, the more responsibility he or she will have. You will notice an increase in homework and papers sent home in 1st grade, so it’s important that your child has the skills needed to keep these items organized. This is a great skill to teach at home and is made even easier with the use of baskets, labels, and folders. To help teach this skill, let your child set up an organization system for toys and then make your child responsible for maintaining this system throughout the summer. Your child will learn to put items back where they belong and will develop a sense of organization. A love of learning is one of the most necessary skills that will help your Kindergartener transition into 1st grade. In addition to the extra responsibility and expectations, your child will learn a lot of new and difficult skills in 1st grade. A love of learning can help make your child more willing to try harder to master these skills. To help your child develop this skill this summer, making learning fun. Use games to make a learning activity more enjoyable. What skills do you think will help your young child succeed in 1st grade?